P’ Sri: I was a regular employee.. After I managed to save up a bit of money, I decided to become a tea and miang farmer. Eventually, I started to farm coffee and haven’t looked back since! P’ Sri: I like how fresh and clean the air is up here in Khun Lao, thanks to the untouched forest. I also like how everyone in the village have become like family - we always support each other. P’ Sri: The Royal Project visited our village a while back. They encouraged us to start growing flowering plants and suggested the idea of farming coffee - they even gave us some coffee beans for us to try. In the beginning, it was quite difficult because we could only sell the coffee at such a low price, around 50-70 Baht/kg. But I didn’t want to stop trying, so I kept going until I was able to sell it for 80-100 Baht/kg. 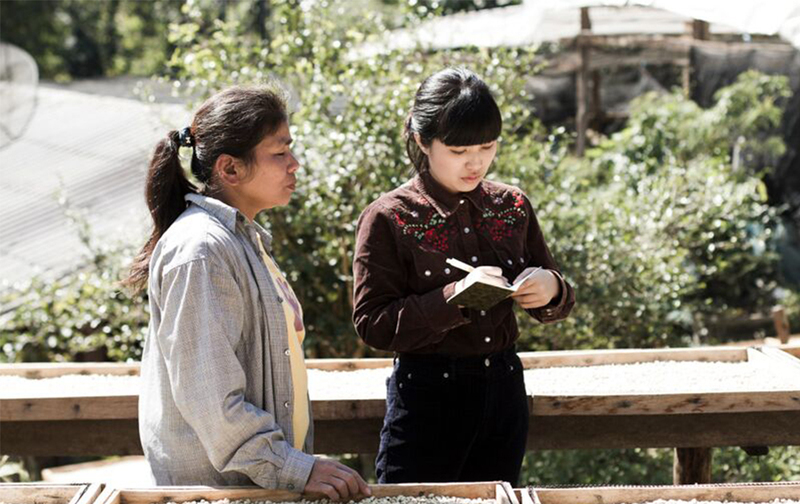 Once the others in the village saw the potential of Thai coffee, they also started becoming coffee farmers. 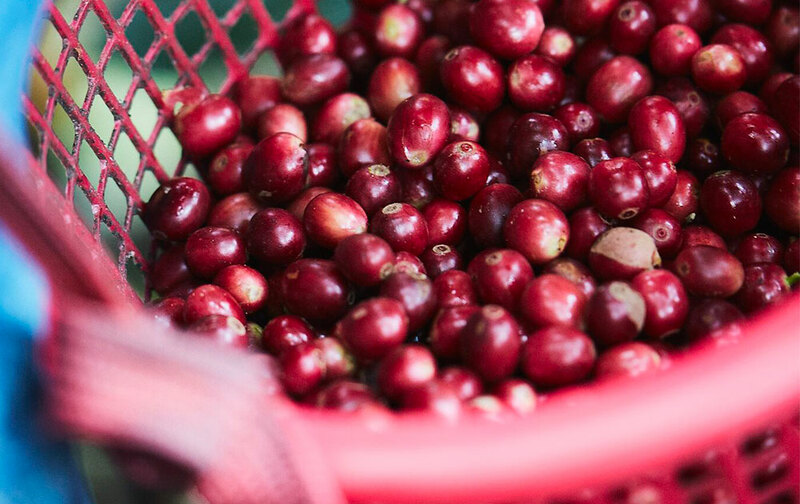 Coffee farming, it is not as a difficult task or chore - rather, it is a passion of mine. I’ve always loved the fact that I could work on the coffee while also keeping an eye on planting the miang. When the miang is ready, the coffee cherries are ripe - they seem to go together hand in hand and I enjoy farming both of these plants! P’ Sri: Coffee has made my life better in so many ways. Aside from providing me with better income, it has also given me a stable career. I’m proud to be a coffee farmer and I have never regretted the decision I made to keep planting coffee! P’ Sri: I like to put a little bit of honey in my coffee. It gives it a rounded sweetness that I enjoy. But I do drink coffee everyday! P’ Sri: Probably tea farming or growing the flowering plants that The Royal Project introduced to us. But being so close to the forest like this, I think farming coffee is really the perfect thing for me. 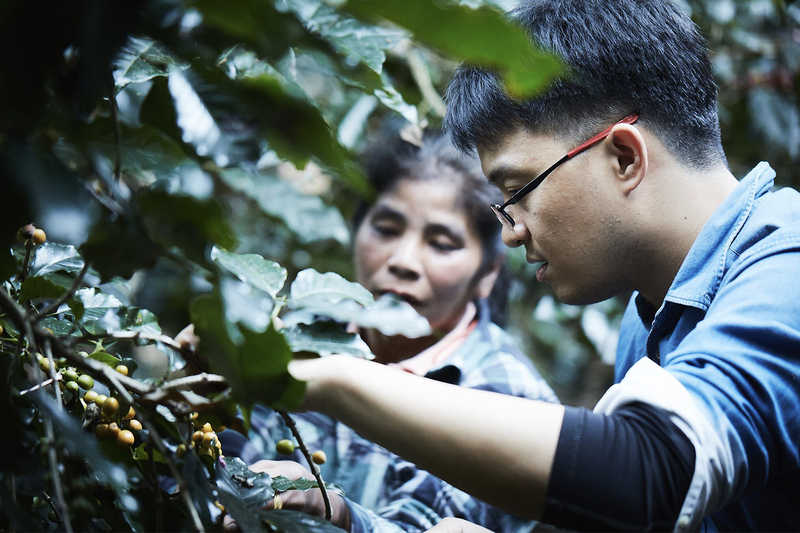 P’ Sri: I would like to say that I really put my heart and soul into making the very best coffee for the customers and that I will continue to work hard and improve the quality of the beans. I can’t tell you how happy I am to hear that more and more people are starting to learn more about Thai coffee!